Shortbread cookies are one of my favorite cookies! Not surprising since the two main ingredients are butter and powdered sugar! I can’t deny the crumbly texture with a subtle crispy edge and buttery taste! This may be the best shortbread cookie recipe ever. 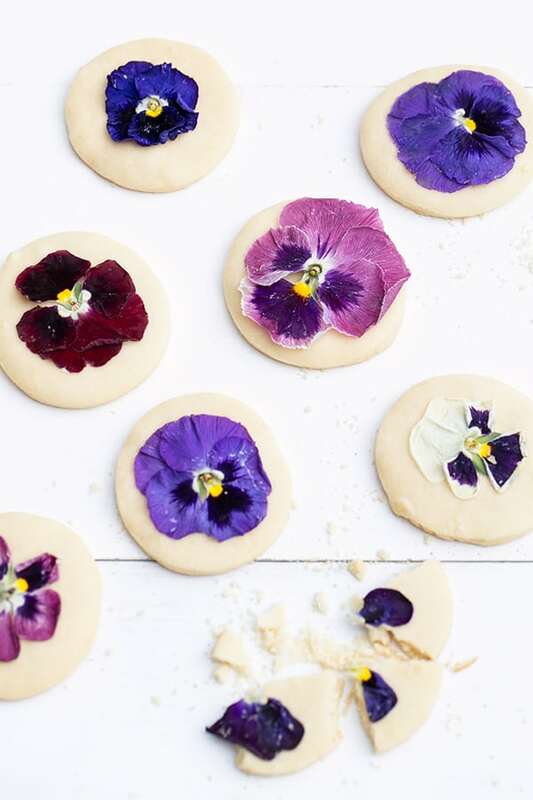 There are several ways you can garnish them, like chocolate, salt, herbs or with pressed edible flowers! It’s incredibly easy to do and they add the most beautiful touch of color! No cookie decorating skills required to make them either! See below and enjoy! Beat butter in a mixer until smooth. Add in sugar, vanilla and salt and continue to beat. With the mixer on low, add in the flour and mix until incorporated. 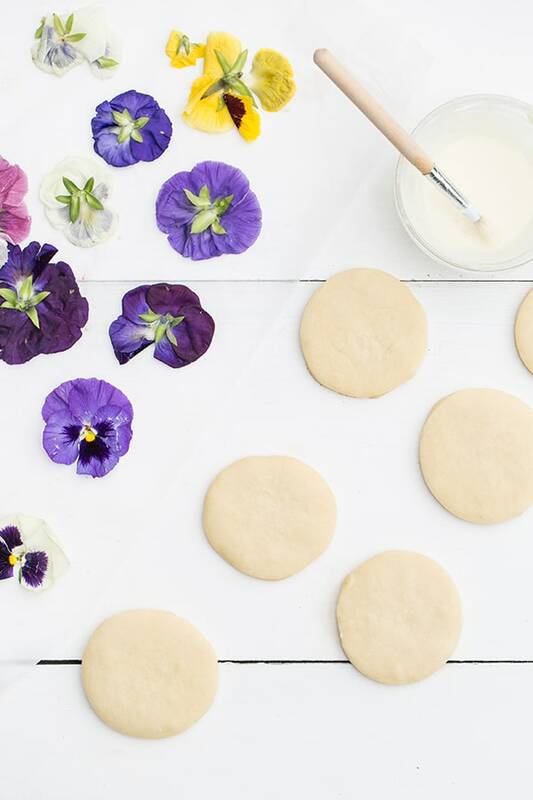 Roll the dough out and use a biscuit cutter to make circles. Bake in a preheated oven, 350 degrees for 15 to 20 minutes. 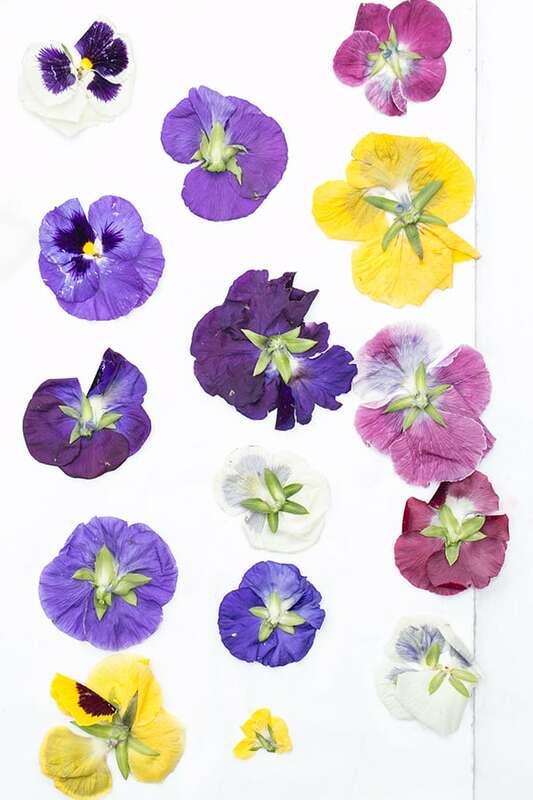 Press edible flowers between 2 pieces of wax paper and set a heavy book on top for at least an hour. Longer is better. Carefully peel off the top layer of wax paper. Some of the petals will stick. You can try to salvage them or just use the ones that didn't stick. Mix 1 teaspoon of meringue powder with 1 tablespoon powdered sugar and add a few drops of water until you have a paste. That will be your glue for the flower petals. 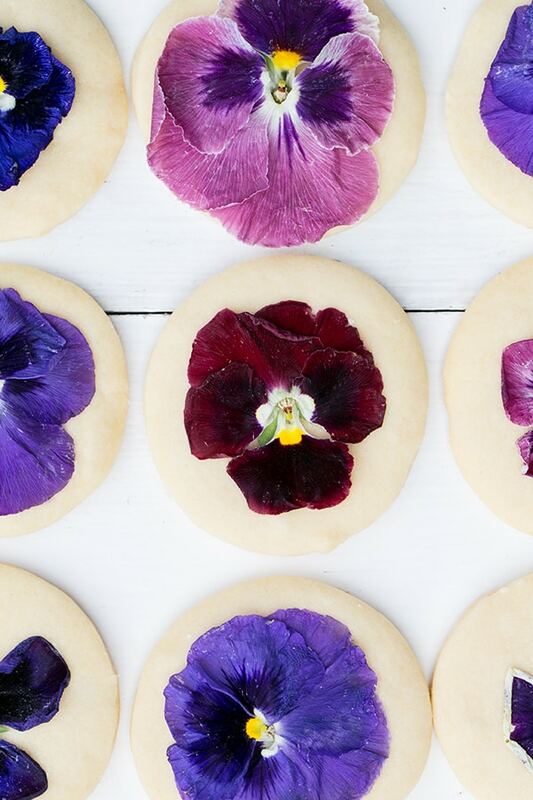 Paint a small amount of the paste on the back of the edible pressed flower and place on the cookie! These cookies are absolutely lovely! 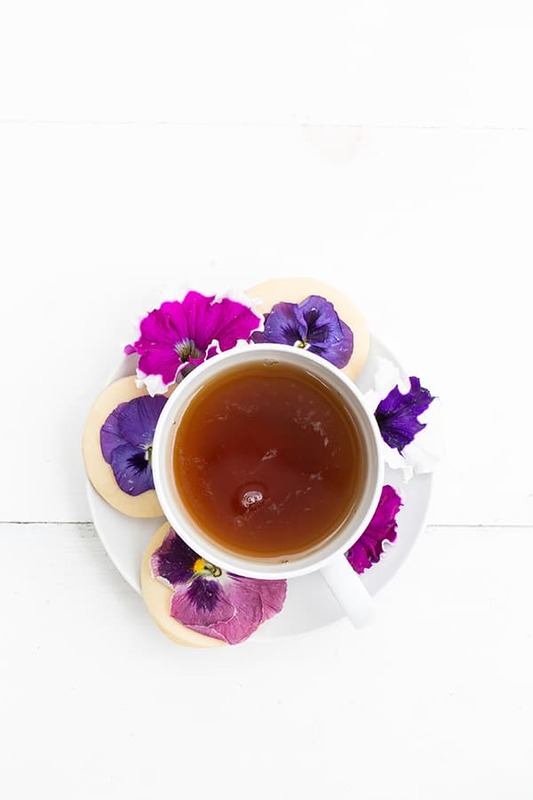 Your recipe inspired me to make my own version using wild Violets since I didn’t have any Pansies! They turned out fabulous and tasted amazing! 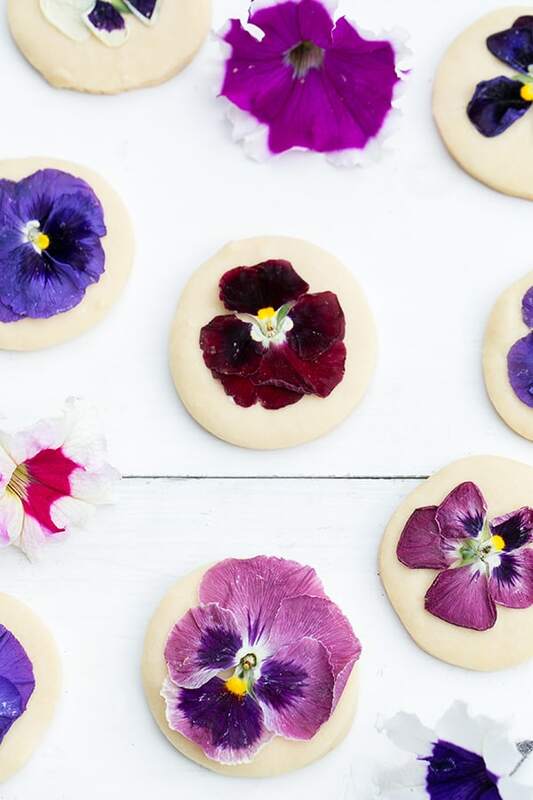 Thanks so much for the recipe and for sharing these beautiful cookies! Yay!! Thank you so much for sharing! I am so happy they worked for you and I’m sure yours looked gorgeous!! Is there something else you can use other than meringue powder for the glue? Maybe an egg? Thanks! Will these stay good for a while or will the flowers turn ugly after a few days? I would serve them the same day. How many cookie does this recipe make ?